The Decolonial International Network has learned that UC Berkley has suspended a student-led course, “Palestine: A Settler Colonial Analysis” under pressure of political lobbyists from the Jewish community. The statement is astonishing when reflecting upon the large academic community that continues to develop theories in decolonizing knowledge production across the globe. 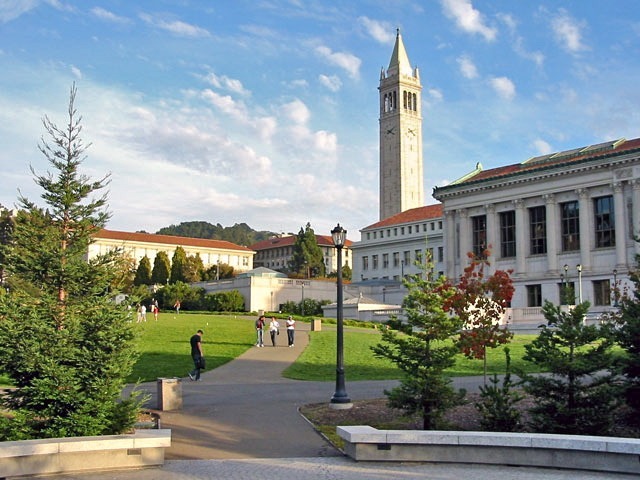 UC Berkeley has often been revered as a beacon of academic integrity and pluralism. The decision to suspend the class is a slight against free academic debate. The decision to suspend the class is a slight against free academic debate. Simply cancelling the class has left no room for discussion when there instead should have been a space for public debate and critique. Decolonial International Network calls upon Chancellor Dirks to undo the suspension and return to the tradition of academic debate that Berkeley has been famous for. To: Chancellor Nicholas Dirks, Executive Dean of Letters and Sciences Carla Hesse, et al. We, from the Decolonial International Network, have been informed through the media that UC Berkeley has suspended a student-led course, “Palestine: A Settler Colonial Analysis” under pressure of political lobbyists from the Jewish community. It is astonishing to see the ignorance that these groups reveal about a large academic community that develop theories in decolonizing knowledge production. From South Africa to Malaysia, from Australia to Latin America, from Europe to North America decolonizing knowledge is a vast growing and legitimate field of academic study and social activism. Academics from different universities have voiced their concerns on this unprecedented repression of academic freedom. See for example: http://org.salsalabs.com/o/301/p/dia/action3/common/public/?action_KEY=20362. For a long time we – and many other academics and activists around the world – have regarded UC Berkeley as a bacon of academic integrity and pluralism. Professors from Berkeley who are in the forefront of the scientific theory of decolonizing knowledge, are held in high esteem throughout the world. Your decision to suspend the class has set in motion a dynamic that goes beyond this particular class. In a normal free academic environment concerns regarding content of classes are dealt with in the framework of academic debate. The lobbyists would be invited for public debates on the content of this class – which they oppose – and other classes – which they support. Debate, discussion and critique are the methods of dealing with differences of opinions about academic content. The instrument of repression is the instrument of political powers that oppose academic freedom. Once the path of repression of academic freedom is chosen, the dynamic will extent to other academic content that is offered by the staff of UC Berkeley. The dynamic caused by your decision will lead to an international mobilization for the support of academic freedom at UC Berkeley. We for sure will support that mobilization. We call upon you to depart from the path of repression of academic freedom and return to the great tradition of academic debate and freedom for which Berkeley has been famous for.